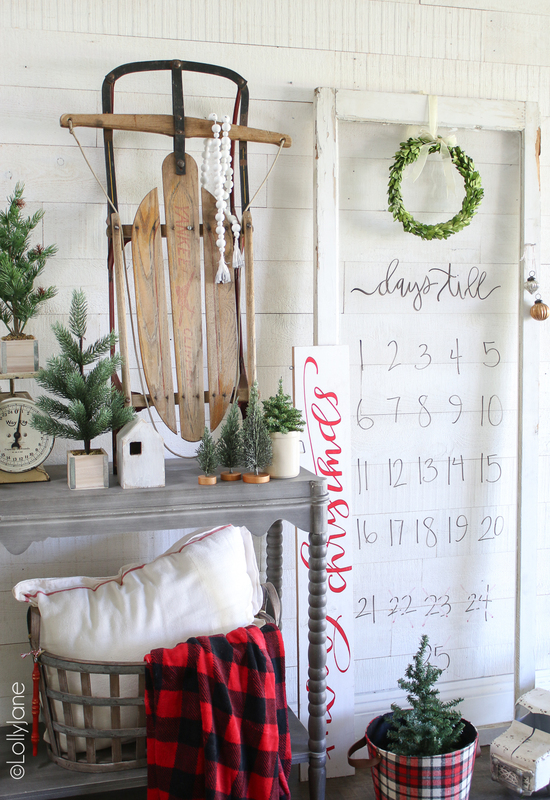 Make this Easy DIY Christmas Countdown with an old window Pane turned dry erase board in just a few simple steps! Perfect way to keep the littles at bay from asking “how many days until christmas” aND, it doubles as a holiday decoration! Several years ago we shared 30 Advent Calendars to make and somehow, we’ve yet to make one ourselves, ha! Maybe because they require work or maybe because we’d sneak the candy before our kids got the chance which would result in tears? 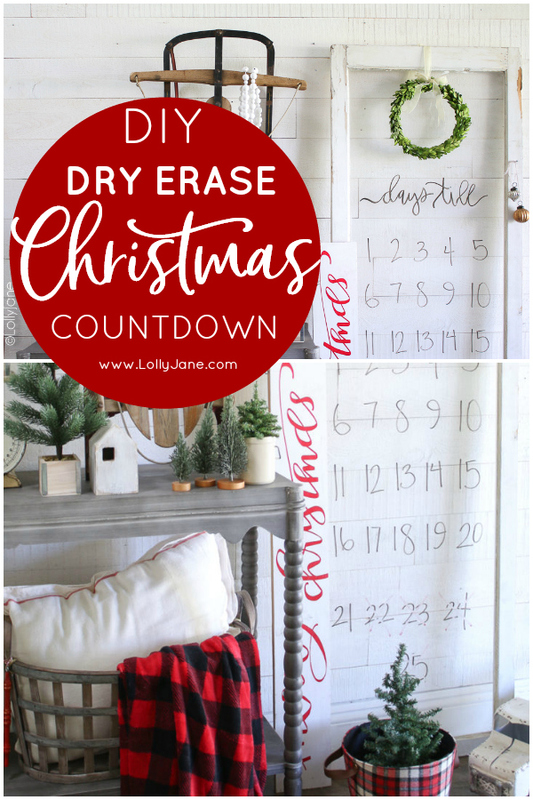 Instead, we’re actually excited about this easy to make Dry Erase Christmas Countdown using an old window pane! 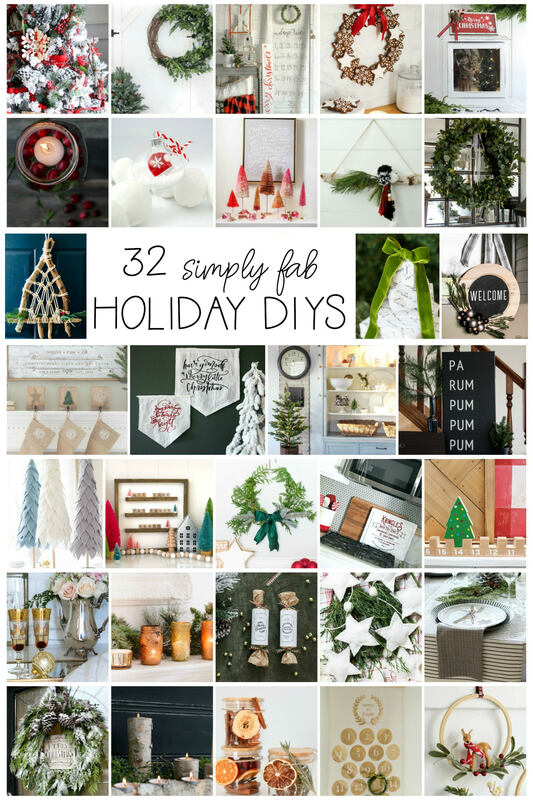 Today’s post is part of a fun collaboration with 30+ other creative bloggers sharing their own DIY Christmas/holiday ideas with you so be sure to scroll to the end to see those beauties! I scored this vintage window pane years ago and it’s been sitting in my bedroom for years, untouched. I’ve had the cute boxwood wreath hanging from it, just collecting dust. 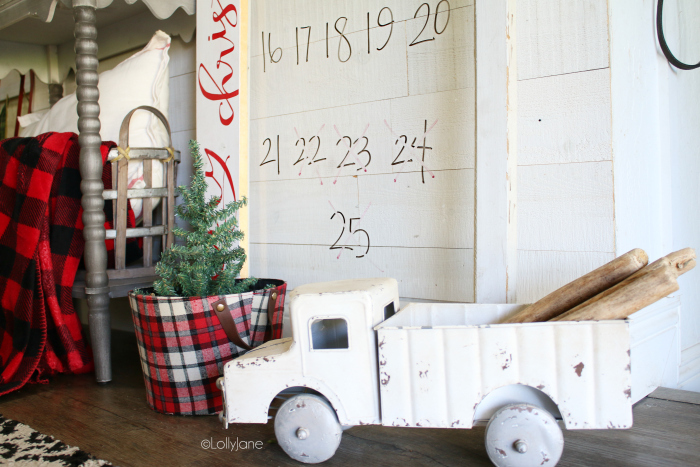 I spied this cute chalkboard Christmas countdown and discovered the original blog had expired so there was no tutorial. I was going to recreate the look on my own giant chalkboard on my porch that I use seasonally but remembered this window pane and am so glad I did! Dry erase is so much easier to write on than chalkboards! If you make a mistake, which I’m an expert at, you can simply erase and re-write. With chalkboards, you have to get it wet, re-chalk it, wait for it to dry then start again. I think we’ll all be seeing a lot more of this old window throughout the seasons! Please PIN so your friend’s can make this too! 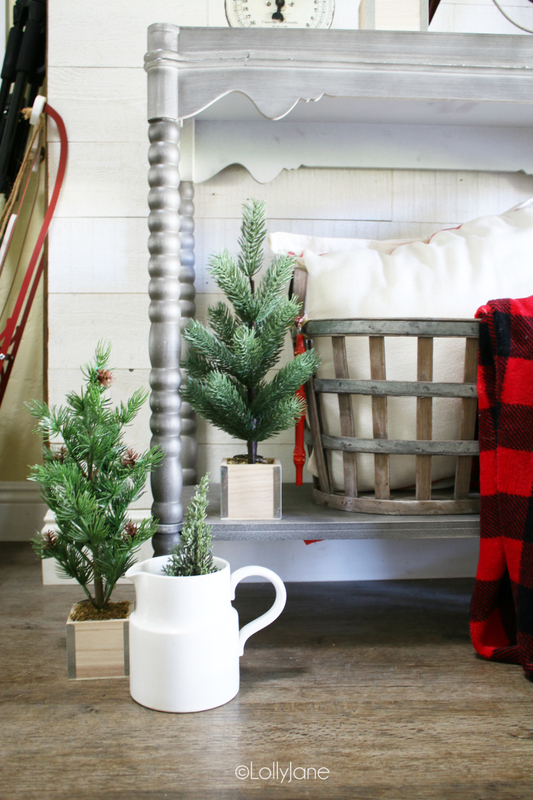 But first… check out MORE of our Christmas DIY’s ❤️? Really, this can be done in under 5 minutes! Tie ribbon around wreath and leave a 6″ piece of ribbon free. 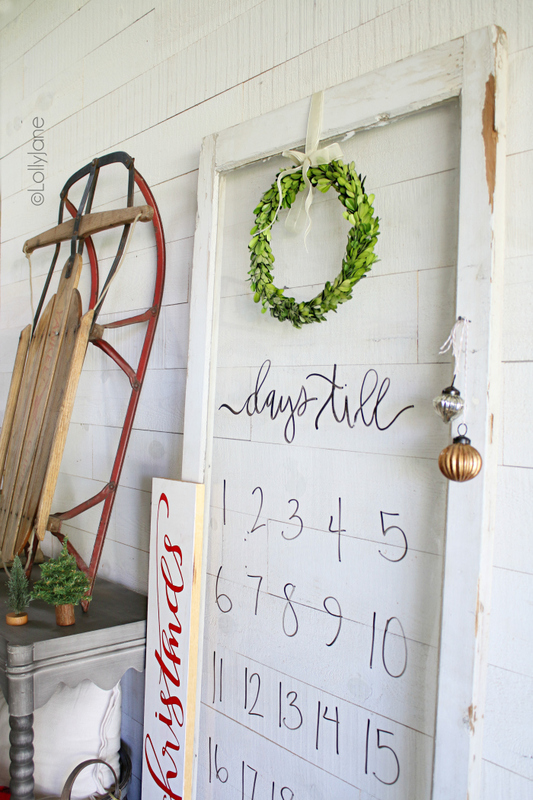 Write “DAYS TILL” in dry-erase marker until wreath, then a line of “1-5,” “6-10” and etc. until you get to the 5th line, then write “21-24” and lastly, 25 underneath it all. I had a gap so I added a doodle of a star. Be creative! Lastly, start marking off the days until Christmas! If you mess up writing on the dry erase window pane, simply erase and start again. Note: a slightly (BARELY wet) paper towel doesn’t leave the build up marker like a dry paper towel does. (A finger works best and wipe it on a paper towel, IMO, ha!) 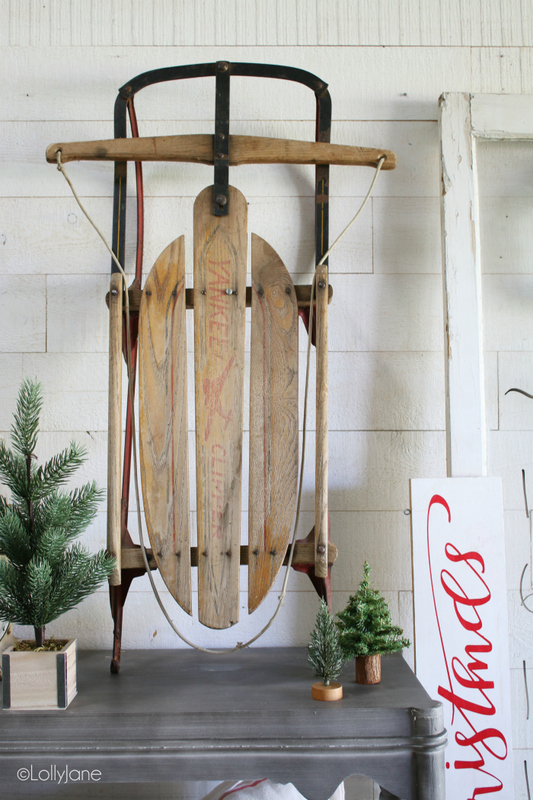 An alternative to the wreath is a faux pine branch (similar to our photo hoop art). 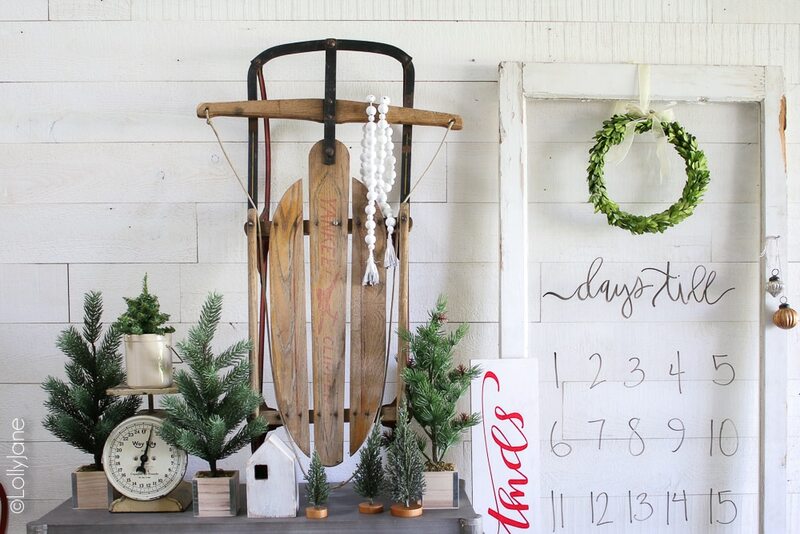 Or, you can sub the wreath completely for a star, antlers, elf or Santa hat, or anything else you have in your Christmas decorations box you think would look good on the top of your own Dry Erase Christmas Countdown. We added the nail with ornaments and love the extra touch! Be sure to take a look at all of this Christmas goodness, wow! 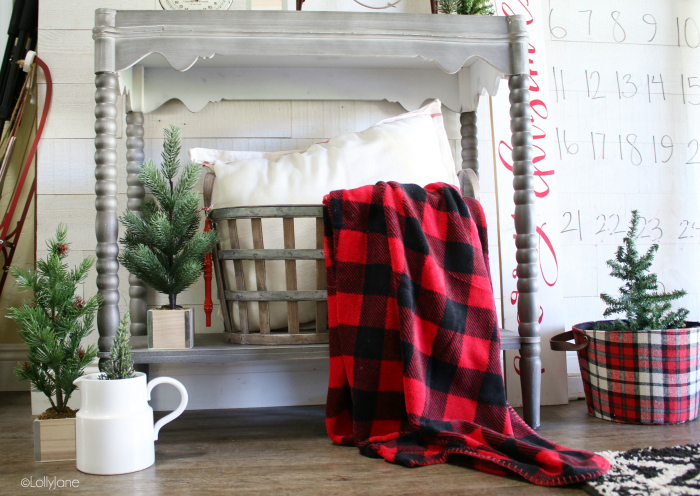 We’ve paired up with our cute friend Krista of the Happy Housie to share over 30 DIY’s sure to get you in the mood for everyone’s fave holiday! From wreaths to a Flocked Tree tutorial to DIY Bottle Brush Trees and a Christmas Potpourri how-to… CHECK IT OUT BELOW! ❤️? SO beautiful!! I pinned it. The whole layout is gorgeous! Perfection! I love the clear glass look with the white marker, so smart. Pinning. I love it. So easy. Thank you for sharing and being a part of the blog hop! 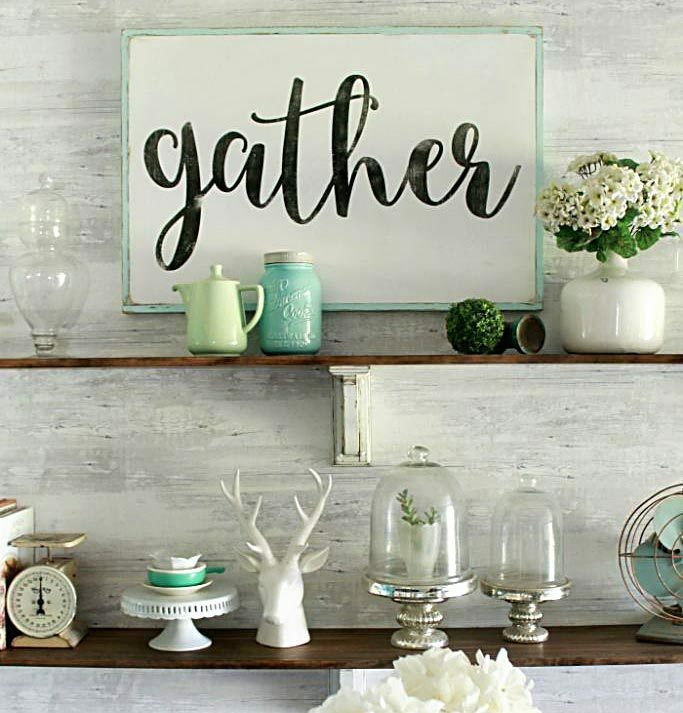 I love this idea and the whole vignette is so pretty!! This is amazing! Love it!! Why didn’t I think of it? You two are so clever! I have an art table that has glass on it and my kiddos friends come over and draw all over it. Glass is so cool to write on! 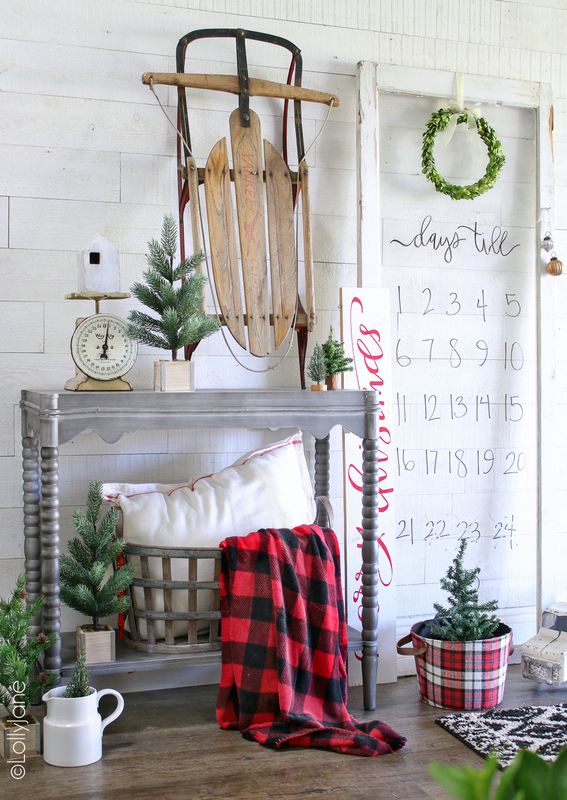 Love your countdown and the wreath and window are so lovely! This absolutely adorable! I countdown board is so unique, love this entire vignette! I love this idea and your set up is so adorable. This makes me want to start counting the days down for Christmas.